I had to skip gym today, so I had a little extra time. I asked my patrons on Patreon for some ideas and got a whole bunch of them. I picked one of the ideas which I thought was something that could come in handy, and I could do fairly quickly with the time I had at my hands. The other great ideas I was provided with were equally good, but many of them would have taken too much time to do properly. I’m adding them to my to-do list and going to do them later. 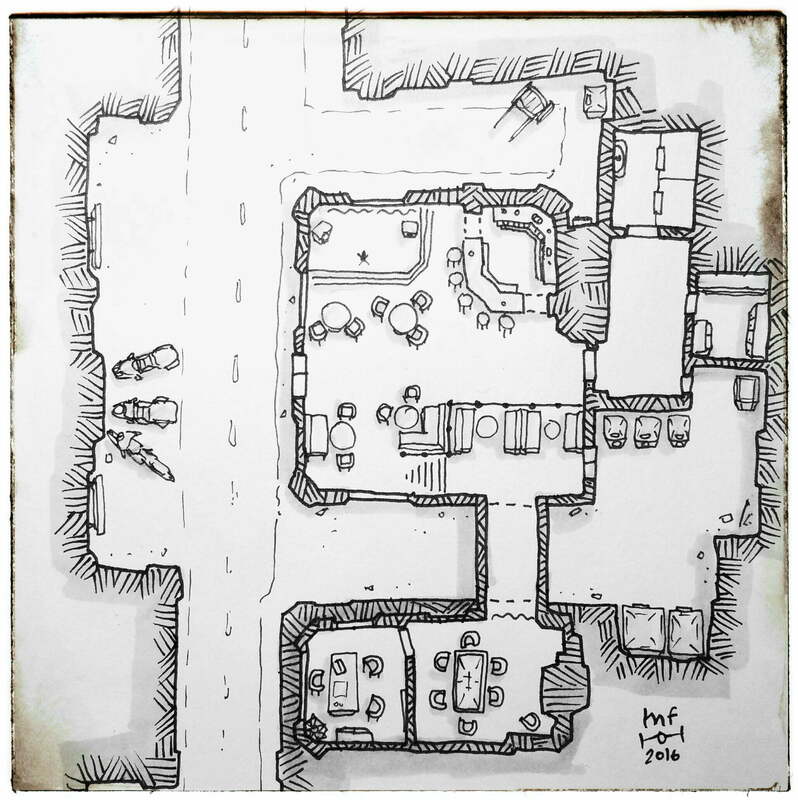 Many fantasy RPG adventures start at a tavern, and so do cyberpunk and scifi adventures. Where else would you go to find a job for a little extra income than a shady bar full of mercs, crooks and other scum and villainy. This map has two levels. The lower level has a bar with a small stage and restrooms. At the upstairs there are a few booths and a VIP room with a large table for gambling or gang boss meetings (what else would VIP rooms be used for?!). From the VIP room there’s an access to the bar owner’s office where all the best deals are made.